As last week wound down, Congress averted another threatened government shutdown, passing an appropriations bill funding federal operations through September 2012. Meanwhile, Senate leadership worked on a separate agreement to extend the payroll tax holiday, extend unemployment insurance protections and prevent a 27 percent cut in Medicare physician reimbursement (the “doc fix”). Earlier in the week, the House passed a payroll tax/UI/doc fix bill by a vote of 234-193. As we reported to AAHomecare members on Saturday, the Senate voted 89-10 to approve their own short-term package that would extend a payroll tax holiday and prevent for two months a reimbursement reduction for Medicare physicians. We have learned from Capitol Hill sources that House Republican leadership will reject the Senate legislation, and additional negotiations will be required to reach an agreement acceptable to both the House and Senate. In any event, it remains vital that HME providers contact their Representative and Senators and strongly urge them to contact their respective leadership to ask that the MPP proposal be included in the final doc fix bill that is sent to the President. Use our Take Action Center to quickly send a message to your members of Congress. A full, section-by-section breakdown of the Market Pricing Program is available to our members (login required). A brief summary of the MPP is available to everyone. You can reach your Representative and Senators’ office by calling the Capitol switchboard at 202-224-3121. If you have any questions or feedback from House staff, please contact Jay Witter at jayw@aahomecare.org. The American Association for Homecare urges Congress to enact the Market Pricing Program (MPP), a reform of Medicare’s pricing system that is an alternative to the controversial bidding scheme for durable medical equipment and services. The bidding program implemented by the Centers for Medicare and Medicaid Services (CMS) has deep flaws, which were described in a letter to Congress signed by 244 top economists and auction experts. The current bidding system allows for non-binding bids – which encourage irresponsible bids and unsustainable prices and do nothing to ensure that winning bidders are actually qualified to provide the products and services to Medicare beneficiaries in the specified market areas. Since the bidding program was implemented on January 1, 2011, hundreds of Medicare patients have reported difficulty finding local equipment or service providers, delays in obtaining medically required equipment and services, and fewer choices when selecting equipment or providers. The Market Pricing Program is designed to achieve an accurate market price. Bids are binding for the bidders and cash deposits are required to ensure that only serious homecare providers participate. The bid price is based on the clearing price, not the median price of winners. The program includes the same equipment and services as the current bidding system and would be implemented across the country during the same timeframe. Two product categories per market area would be bid. Eight additional product categories in that same area would have prices reduced based on auctions conducted simultaneously in comparable geographic areas. Bid areas are smaller geographically than the currently used bidding units (metropolitan statistical areas) and are more homogeneous. In addition to the 244 economists, more than two dozen consumer and disability groups, 165 members of Congress, and the National Federation of Independent Business oppose Medicare’s current competitive bidding system. The American Association for Homecare represents durable medical equipment providers, manufacturers, and others in the homecare community that serve the medical needs of millions of Americans who require oxygen systems, wheelchairs, medical supplies, inhalation drug therapy, and other medical equipment and services in their homes. Members operate more than 3,000 homecare locations in all 50 states. Visit www.aahomecare.org/athome. WASHINGTON, November 23, 2011 ------ Millions of Americans will be able to share Thanksgiving and other holidays with seniors and people with disabilities who are able to live safely and independently in the comfort of their own homes, thanks to home medical equipment, services, and supports. Homecare also provides tremendous value to more than eight million Americans who require some type of care in the home, says the American Association for Homecare. Home medical equipment and services can be provided and maintained for just dollars a day, which is why homecare is a cost effective alternative to institutional care and is an important part of the solution to our nation’s healthcare financing challenge. More than eight million Americans depend on medical equipment and services at home which treats conditions such as multiple sclerosis, Lou Gehrig’s disease, spinal cord injuries, severe lung disease such as chronic obstructive pulmonary disease (COPD), congestive heart failure, sleep apnea, and diabetes. Virtually every type of health care short of surgery can be successfully delivered in the home. Seniors and people with disabilities receive medically prescribed oxygen therapy, wheelchairs, hospital beds, drug infusion therapy, hospice care, walkers, and other medical services, supplies, and equipment at home. Americans would rather receive care at home according to surveys by AARP and other organizations. Moreover, a 2011 Harris Interactive survey about spending priorities for health care found that 79 percent of Americans believe the federal government should strengthen patient access to home medical equipment and services and 61 percent favor investment in community- or home-based care to improve cost-effective health care. Providers of home medical equipment and services help prevent ER visits and hospitalization and enable hospitals to discharge patients on a timely basis to post-acute care at home, which reduces length of hospital stays and lowers spending in the healthcare system. The home is the most cost-effective setting for many types of medical care including long-term care and is part of the solution for lowering health costs. In an October 20, 2010 New England Journal of Medicine article, Steven H. Landers, M.D., cites home oxygen as an example of advancement in portable medical technology and cites parenteral nutrition (tube feeding) and infusion as examples of home-based care that are cheaper than and as equally effective as institutional care. Home medical equipment providers serve as first responders to ensure that people receiving homecare are safe in emergencies such as Hurricane Irene or ice storms where power is lost for days at a time. A power outage can be deadly for a person who requires a ventilator or an oxygen concentrator that treats lung diseases or chronic heart failure. During a power outage or evacuation, having an adequate back-up supply of battery power or oxygen is essential to the health of the device users. In a catastrophic pandemic flu, home-based care will play a large role in treating flu victims since patients will quickly overwhelm hospitals. The American Association for Homecare celebrates the thousands of dedicated professionals and family caregivers who provide the equipment, services, and supports that enable seniors and people living with disabilities to remain in the care setting that most prefer – their own homes. The American Association for Homecare represents providers of durable medical equipment and services who meet the healthcare needs of millions of Americans who require oxygen equipment and therapy, wheelchairs and mobility assistive technologies, medical supplies, inhalation drug therapy, and other medical equipment and services in their homes. Members provide homecare in all 50 states. The American Association for Homecare expressed dismay today that the Centers for Medicare and Medicaid Services’ (CMS) calculated a 61 percent improper payment rate for the home medical equipment sector for 2011. The 61 percent improper payment rate is significantly higher than the overall Medicare fee-for-service error rate, which is 8.6 percent for 2011. Even though the improper payment rate is not a calculation of fraud, the rate is misunderstood and it casts an unwarranted cloud over the entire home medical equipment sector. The Association has worked with CMS to lower the error rate through greater consistency in audit requests, Medicare coverage criteria, and education of both home medical equipment providers and physicians. However, the Association’s recommendations to the agency for reducing the error rate have been ignored. CMS is required by law to estimate and report the improper payment rate through a random sampling of claims conducted by the Comprehensive Error Rate Testing (CERT) audit contractor. The CERT contractor evaluates claims to determine whether they were properly paid according to Medicare coverage, coding, and billing rules. The American Association for Homecare represents providers of durable medical equipment. Members serve the medical needs of millions of Americans who require oxygen equipment and therapy, wheelchairs and mobility assistive technologies, medical supplies, inhalation drug therapy, home infusion, and other medical equipment and services in their homes. The Association’s members operate more than 3,000 homecare locations in all 50 states. Visit www.aahomecare.org. The American Association for Homecare (AAHomecare) is pleased that Representative Peter Roskam (R-Ill.) introduced an important bill yesterday designed to reduce fraud and improper payments in Medicare. The Fighting Fraud and Abuse to Save Taxpayer Dollars Act, or FAST Act, H.R. 3399, would strengthen Medicare by shifting Medicare's "pay-and-chase" payment system to one that is modeled after credit card industry fraud-prevention tactics, utilizing predictive modeling technology to prevent paying fraudulent Medicare claims. The legislation also contains a provision, supported by AAHomecare, which would require an electronic prior authorization process for standard power wheelchairs in Medicare. This provision requires physicians to use a clinical medical necessity template to document the medical need for a power wheelchair. The Association believes that this physician template is a critical tool needed to reduce improper payments due to documentation errors. AAHomecare has long fought against Medicare fraud. The Association has worked with Congress and the Administration to implement a number of key components of its 13 point anti-fraud plan. Visit www.aahomecare.org/stopfraud to see the plan. Last year, AAHomecare supported H.R. 5546, introduced by Rep. Roskam, which would have improved the tools and resources available to prevent fraud and abuse in Medicare through the use of predictive modeling technologies. The Association welcomes the opportunity to work with Rep. Roskam on this important bill as it moves through the legislative process. Dan Smith is the director of membership sales and marketing at AAHomecare. Dan joined the team in the summer of 2011. Dan spends the majority of his time traveling state to state, listening to members, talking to prospects, and promoting the value of AAHomecare. He’s a seasoned veteran of the HME sector, bringing decades of experience to AAHomecare. From 1983 to 1991, he was a Rehabilitation Technology Supplier (RTS) for Advacare Medical, in Kansas City. From 1991 to 1997, he served as Regional Manager at Everest & Jennings. He also worked for The MED Group for twelve years, where he served as vice president of membership from 2002 to 2009. Dan is a graduate of Kansas University and a huge JayHawk basketball fan. • Dan is an amateur herpetologist. He currently owns an 8-foot boa constrictor as a pet, and he has appeared twice on TV. • Dan has been a national triathlete (swim, bike, run) for 15 years and competed all over the country, including the National Championships at Hilton Head Island, South Carolina, where 2000 national triathletes competed. • Dan is a self-proclaimed expert on the Mexican/US border and Mexican Drug Cartels. He works out of the AAHomecare Western Regional Office (actually, his house) in Lubbock, Texas. Tilly Gambill is the manager of marketing and communications at AAHomecare. She joined the team in the summer of 2007. 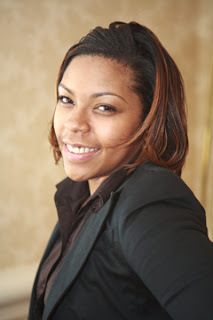 Tilly manages a variety of advertising, marketing, grassroots, and public relations projects for the Association. Her sweet Southern charm and whole-hearted kindness are positive influences on an office otherwise full of city folk. As one of our resident social media gurus, Tilly has helped to establish and leverage the visibility of HME issues in emerging online media in addition to traditional communications channels. Before joining the team, Tilly worked at Docs for Tots, a Washington-based advocacy network for physicians that champions the healthcare and social needs of children. She served as communications director there, leading media outreach and message framing efforts for the organization as well as work on print and electronic publications. Tilly has traveled across the world, literally, skiing the alps (she lived in Europe for 7 years), swimming in Dubai, and trekking past the Egyptian pyramids on camel-back. Tilly was taught how to field a baseball by Tommy Lasorda, her first job was scoring baseball games and she married an MLB Sirius XM executive producer – she and baseball cannot escape each other. Tilly was elected class president from the seventh grade to her junior year of high school, and student government president her senior year; her record is so squeaky clean that if/when the position is created, she can become the President of the Universe (Trust us, we've Googled her). In recognition of their outstanding service to the homecare community, Tom Ryan of Homecare Concepts and Joe Lewarski of Invacare Corporation will each receive the Homecare Champion Award from the American Association for Homecare next week at Medtrade. The Homecare Champion Award honors members of the American Association for Homecare who have made exceptional contributions to the homecare community throughout their careers. A Homecare Champion has a longstanding record of service and he or she embodies a spirit of caring and generosity that is a hallmark of successful leaders in the home medical equipment sector. Ryan and Lewarski will be honored at the Stand Up for Homecare reception on Tuesday evening at Medtrade, October 25, 5:30 pm-7:00 pm, Maple Point – Hall B, Georgia World Congress Center, Atlanta, Ga.
Tom Ryan is president and CEO of Farmingdale, NY-based Homecare Concepts. He began work as a Respiratory Therapist during the 1970s and founded Homecare Concepts in 1988. 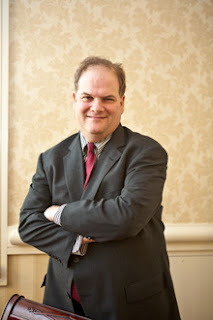 He is also a founding member and former chairman of the New York Medical Equipment Providers Association (NYMEP). During his many years as an AAHomecare member, Ryan served two terms as chairman of the board. “Tom’s entrepreneurial achievements, professionalism, concern for patients, high level of service, and his past and continuing leadership in both AAHomecare and NYMEP are among the many qualities that make him a fitting recipient of this award,” Wilson noted. Joe Lewarski is vice president of clinical affairs at Invacare Corporation, based in Elyria, Ohio. Lewarski has worked in homecare for more than two decades and has authored more than two dozen scientific papers on pulmonary and respiratory topics in peer-reviewed publications. He has served as a volunteer on AAHomecare councils for many years, providing vital expertise on the clinical implications of regulations and legislation related to oxygen therapy, respiratory devices, and inhalation drugs. More information about Ryan and Lewarski will be offered at the presentation of the awards at the Stand Up for Homecare reception on October 25. 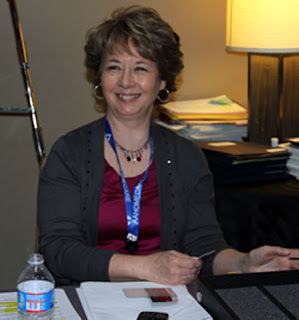 Gina Conlon is the executive assistant and office manager for the American Association for Homecare. She has been keeping the team on track since October 2006. Gina works directly with Tyler as his executive assistant, and serves as mother to everyone else on the staff, more commonly known as the office manager. Many of you have spoken to her and received emails from her, and some of you have been lucky enough to actually meet her in person. Most of Gina’s duties involve organizing and nagging, of course all of it is necessary to make the well-oiled AAHomecare machine stay on track no matter what. 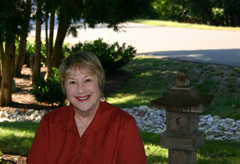 Gina graduated from George Mason University, in Fairfax, Virginia, with a BS in Early Childhood Education. Gina is the only native Washingtonian on the AAHomecare staff. Gina knows the lost art of shorthand. Or at least she claims her meeting notes are in shorthand, it looks like Arabic to the untrained eye. She worked for the CIA…click on this link at your own risk. The American Association for Homecare urges the Joint Select Committee on Deficit Reduction not to include any additional budgetary spending cuts that will restrict access to home medical equipment and services in its recommendations to Congress. Over the years, homecare has broadened health care access for millions of Americans, while also producing cost-savings in the health care system by keeping seniors and people with disabilities out of costly hospitals and nursing homes. “Any additional cuts to the homecare sector will severely restrict access for the eight million seniors and people living with chronic conditions and disabilities who depend on care and services at home,” Wilson said. Over the past decade, home medical equipment and services have endured a series of deep, disproportionate budgetary cuts. Recently, the Medicare Payment Advisory Commission voted to repeal the Medicare Sustainable Growth Rate formula and partially offset the estimated $200 billion 10-year cost of the repeal through steep, disproportionate cuts to durable medical equipment reimbursements. 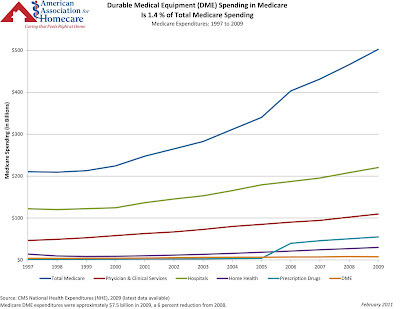 Durable medical equipment is a shrinking line in Medicare’s budget, representing less than less than 1.5 percent of total Medicare spending. Home medical equipment and services provide a cost-effective alternative to institutional care for both patients and the health care system. For instance, a full year of oxygen therapy at home under Medicare costs roughly $2,400 a year. Yet without access to the proper services and equipment, a home oxygen patient suffering an exacerbation of COPD can cost Medicare more than $5,000 per day in hospital expenses. Help preserve HME, tell lawmakers "No more cuts to homecare." Visit the AAHomecare Action Center today. Tim Hopkins is the manager of web and information systems at AAHomecare. He joined the team in January 2005. Tim handles all things technology under the AAHomecare roof – from PCs and laptops to mobile devices – and manages the website as well. Some say that he is both the cause-of and solution-to all of AAHomecare's technological problems. A self-proclaimed PC chiropractor, email list whisperer and website duster-upper, Tim has used his knowledge of design, the web and social media to move the Association forward as “the interwebs” (his term) continue to evolve. Tim received his bachelor’s degree in Information Science from Christopher Newport University, located in Newport News, Virginia. Tim cofounded a live reading event in Alexandria, Virginia, called As Was Written, where poetry, prose and song writers perform their original work in front of a live audience. Tim learned sign language as a child from his parents, who both freelance as American Sign Language (ASL) interpreters. Tim is the quarterback of the two-time championship-winning Tailights flag football team in the Mid-Atlantic Flag Football Rec League. Jay Witter is the senior director of government affairs at AAHomecare. He joined the team in the Winter of 2008. Jay brings sixteen years of legislative, political, and management experience to AAHomecare, which serves him well in advancing our legislative initiatives on Capitol Hill, as well as coordinating our political activities. 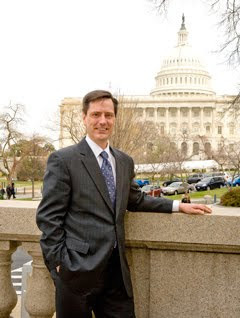 His years working on Capitol Hill for several members of the House of Representatives provide valuable knowledge in the legislative and political processes, as well as helping cultivate invaluable relationships on The Hill that assist his lobbying for homecare issues on a daily basis. Before joining AAHomecare, Jay worked as senior lobbyist for the United American Nurses (UAN), AFL-CIO, and oversaw the organization’s legislative, regulatory, and political policies, procedures and positions. During the 2008 presidential election, Jay worked with a majority of the candidates on pro-nurse policies and initiatives. He was also appointed to Obama’s Health Care Policy Committee, as well as organized a “Nurses for Obama” campaign. Before the UAN, he worked as VP of Government Relations at the American Chiropractic Association and successfully worked with ACA members for the passage of six specific chiropractic bills into law over the six years he worked at the Association. Jay has a bachelor’s degree in Political Science from SUNY Courtland and Masters degree in Public Administration from George Mason University. Jay is a fan of all types of music, but claims that grunge music saved rock and roll in the early 1990's and has yet to return to that peak. Jay has been riding motorcycles for 25 years and currently owns a dirt bike and two street bikes, a 1979 Yamaha 750 Special and a 2011 Kawasaki Ninja ZX -10R (1000cc). Americans want the federal government to improve access to HME and invest in home and community based care. And given a number of choices for how to reduce Medicare spending, cutting homecare was their least favored alternative. These are the results of a survey conducted last week of more than 2,000 adults in the U.S., conducted by Harris Interactive for AAHomecare. The survey was made possible by the Stand Up for Homecare Campaign. Raising the premiums all Medicare recipients have to pay (9 percent). We will be sharing these results with media and policymakers in Washington. Read the full data results. This Fall, the American Association for Homecare will honor the organization’s first Homecare Champion(s) by presenting an award that recognizes AAHomecare members who have made exceptional contributions to the HME sector. The recipient(s) will receive their honor at the Stand Up for Homecare reception that will take place during Medtrade on Tuesday evening, October 25, in Atlanta. We are asking for nominations to help us identify those individuals who have had a significant impact on HME issues and who have helped to advance the business of the homecare community. Membership in the American Association for Homecare and in one or more state organizations. The Homecare Champion recognition will be an ongoing award bestowed upon several deserving individuals every year at Medtrade and Medtrade Spring. All nominations must be submitted either by mail (address below), fax (703-836-6370) or email (suem@aahomecare.org) using the nomination form and must be received on or before 5:00 pm ET on Friday, September 30, 2011. Anyone involved in the homecare community may submit a nomination. Questions about the Homecare Champion recognition and related inquiries should be directed to Sue Mairena at (703) 535-1890 or to suem@aahomecare.org. Dozens of stakeholders from the Triangle’s home medical equipment (HME) industry brought homemade signs and rallied for jobs around the corner from where President Obama touted his jobs bill in North Carolina. Organized by the North Carolina Association for Medical Equipment Services (NCAMES), the rally was designed to bring attention to the disastrous Medicare bidding system for HME. I have been in a wheelchair since being severely injured in a school bus accident as a teenager. For many people like me who live full lives with physical disabilities, the durable medical equipment provider who supplies mobility devices is one of the most trusted people in our lives. The equipment and service they provide keep us out of hospitals and nursing homes. So it’s frustrating to see unfair accusations leveled at these providers. A small group of criminals who have posed as legitimate equipment providers have tainted the reputations of the many dedicated, hard-working wheelchair providers, like the ones I know. The bad guys, who are scamming the Medicare system, aren’t part of the durable medical equipment community; they are criminals who deserve to be locked up. The media often focuses on the price that Medicare pays to provide power wheelchairs to its beneficiaries, but reporters frequently overlook the fact that the cost of mobility assistance is determined by a patient’s functional needs and the specific equipment and accessories required to address their unique physical conditions. Furthermore, the people who get power wheelchairs from Medicare don’t have them to cruise to the shopping mall. They can’t walk. The power wheelchair brings back their mobility. Oftentimes, it is the difference between living independently and being confined to a nursing home or other care facility. It has been 30 years since I became a member of the wheelchair club. My life is no joyride. My manual wheelchair is a necessity. When I get out of bed in the morning, it helps me safely begin my day. I have to transfer from the bed to the wheelchair, and with one wrong move and I can fall to the floor, possibly injuring myself. The next challenge is getting dressed. It’s hard to accomplish when sitting in a wheelchair. Then, I must maneuver to the bathroom to groom and to the kitchen to prepare breakfast. None of this would be possible without a wheelchair. All of those tasks are even more difficult for those whose physical limitations require them to use a power wheelchair. We do not choose to join the wheelchair club. But it’s our reality. We try not to whine about our circumstances because for many of us, it is just the way our life is. Yet, we hear accusations that providers are delivering power wheelchairs to Medicare beneficiaries who don’t really need them. Nothing could be further from the truth. Data clearly shows that typical Medicare beneficiaries who receive power wheelchair prescriptions from their doctors are 70 years or older and suffer from chronic diseases, like COPD, diabetes, arthritis and heart disease. Their physicians have written the prescriptions because the patients need power mobility assistance so they can remain independent in their homes and groom, go to the bathroom, prepare food and do the other daily necessities of life when a walker or manual chair isn’t sufficient. Wheelchairs are life-changing devices for the people who need them. It’s hard to understand why the federal government continues to add more and more barriers for Medicare beneficiaries to receive power wheelchairs. Over the years, policy changes ranging from reimbursement cuts, the so-called competitive bidding process, elimination of the first-month purchase option and other polices have made it difficult for suppliers to provide quality equipment and services. Surveys indicate that more and more home medical equipment providers are choosing not to sell power wheelchairs because of all the challenges presented by the government. There must be more consideration of how these policies impact real people and families. As the number of providers decline, so does access to care and equipment, especially in rural areas where small businesses serve wheelchair users who are spread over vast areas. It’s easy for bureaucrats to pronounce spending on power wheelchairs as “government waste,” even as the devices help to reduce overall healthcare costs and provide Medicare beneficiaries with the ability to live independently in their homes. The public would be better served if policymakers left their desks in Washington and met with us in our homes, where every day is a struggle. In all the congressional hearings on Medicare spending, rarely are the beneficiaries given a voice. What lawmakers would hear is passionate pleas for independence and dignity from some of the most vulnerable people in our society. We may be overlooked. But we won’t go away. Mobility assistance allows us to embrace the spirit that our nation was built upon – it gives us freedom and independence. Madonna Long, who has spent decades working on behalf of people living with disabilities, is a consumer advocate for Pride Mobility Products Corp.
Gordon Barnes is an in-house consultant at AAHomecare. He has worked for the team for several periods since 2007. Gordon is best known as the Appointment Concierge to attendees of our annual Washington Legislative Conference – setting, confirming and managing hundreds of Capitol Hill appointments for conference attendees. (Put his skills to the test by joining us at the Legislative Conference in DC on Feb. 15-16) He also helps grow AAHomecare’s grassroots advocacy capacity and has a hand in several other communications projects and outreach activities. 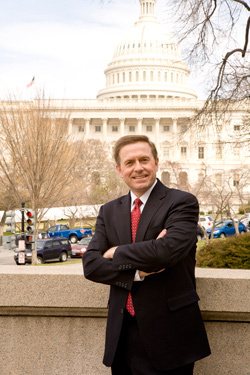 Before joining AAHomecare, Gordon worked in public relations, grassroots and online communications roles for the DC-based PR firm Burson-Marsteller, the American Gas Association, the American Forest and Paper Association and the National Republican Congressional Committee. He is a graduate of the University of Virginia, majoring in English. Gordon lives in a townhouse in nearby Old Town Alexandria, Virginia, that was built in 1824, which he has been restoring for the better part of a decade. He does not particularly recommend this hobby for people who value their money or mental health. Speaking of often-frustrating hobbies: Gordon is a long-time Washington Redskins fan. Gordon attended the wedding of Wheel of Fortune grandee Pat Sajak (friend of bride’s family) and swears he is somewhere in the background in People magazine photos. He recalls that Vanna White seemed tiny in person. Alex Bennewith is the senior manager of government affairs for AAHomecare. She has been with the team for more than four years. 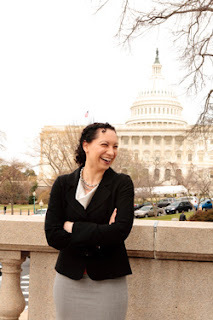 Alex advocates for members on legislative and regulatory affairs with Congress, the Centers for Medicare and Medicaid Services and the Food and Drug Administration. She also develops partnerships with disability and consumer advocacy organizations that work with us on competitive bidding and other homecare issues. Alex went to Brandeis University for her undergraduate degree in politics and Latin, and obtained her master’s in public administration at American University. Before joining AAHomecare, Alex lobbied Congress for consumer groups and before that held business development and account management positions at public affairs businesses, lobbying firms and financial consulting companies. Alex practices martial arts training with her husband, including boxing and muay thai. Alex likes to eat marmite sandwiches. Extra points to anyone who knows what that is! From the Carolinas to New England, durable medical equipment providers spent much of the past three or four days preparing their customers for Hurricane Irene. Of particular concern to the companies are people who require supplemental medical oxygen, which is often supplied by an electric concentrator. During a power outage or evacuation, having an adequate back-up supply is essential to the health of the oxygen users, many of whom are Medicare beneficiaries. In Sandwich, Massachusetts a home medical equipment provider made numerous deliveries to home oxygen patients in the Cape Cod region over the past several days and providers in Ephrata, Pennsylvania put all delivery, clinical, and management staff on alert for the weekend and lined up gas and liquid oxygen supplies. A registered respiratory therapist and operations manager in Ephrata, said high winds and heavy rains produced power outages over the weekend and the company delivered extra oxygen supplies to 10 patients on Sunday. Home medical equipment providers in other mid-Atlantic and New England states also helped patients beginning as early as Thursday, August 25, lining up extra supplies and contacting patients. These are just some of types of extra steps taken by hundreds of durable medical equipment providers nationwide during emergencies -- whether caused by hurricanes, tornadoes, excessive heat, flooding, ice storms, or heavy snows. The companies receive no extra compensation from Medicare for providing emergency services. Companies responded with extra calls and visits during the July-August heat wave and during the flooding that struck Tennessee and neighboring states this Spring. Ashley Wyatt is the coordinator of meetings and education at AAHomecare. She joined the team in the Spring of 2009. Ashley is in charge of recommending and coordinating educational events and teleconferences, as well as assuring that each trip to industry events (including Medtrade in October) goes as smoothly as possible, from the flight in to the flight out. She also spends time scouting potential event locations (she keeps recommending a “industry team building” trip to Hawaii, we keep saying no), making recommendations for upcoming shows, and works with our marketing team to promote our upcoming events (teleconferences, webinars, fly-ins). Before joining AAHomecare, Ashley attended the University of Maryland University College full-time, where she’s currently two semesters away from a degree in Legal Studies. Ashley is the only person in the office who could qualify as an “ice skating” expert – she took 6 years of instructional classes growing up, and knows what a “sit spin” and “axel” are without pointing at the TV during the Winter Olympics. In the article, Medicare Bid Process for Medical Supplies to Expand, U.S. Says, published in Bloomberg, Jeffery Young reports on competitive bidding saying, “The [CMS] agency received 45 complaints, contrasting with reports from suppliers and the American Association for Homecare of more than 500 from beneficiaries who couldn’t find a supplier, said Tyler Wilson, the Arlington, Virginia-based group’s chief executive officer. As Medicare expands a controversial “competitive” bidding program for home medical equipment and services, economists, consumer groups, and members of Congress have gone on record to oppose that program citing reduced patient access to care, flaws in the program design, and impact on local jobs. New restrictions and unsustainable prices based on this controversial bidding system took effect on January 1, 2011 in nine of the largest metropolitan areas including Charlotte, Cincinnati, Cleveland, Dallas-Ft. Worth, Kansas City, Miami, Orlando, Pittsburgh, and Riverside, Calif. Another 91 areas throughout the U.S. will be subjected to the bidding program starting later in 2011. The bidding system affects providers and users of home medical equipment and services such as oxygen therapy, respiratory devices, hospital beds, wheelchairs, and other medically required equipment and supplies needed by seniors and people with disabilities in the Medicare system. Proponents of the bidding system have conveyed misleading information that exaggerates the benefits and ignores the severe shortcomings of the program. MYTH #1: Medicare overpays for home medical equipment and services, and the bidding system improves the method for setting reimbursement rates for that equipment and service. REALITY: Proponents of the bidding system use out-of-date reimbursement rates and false comparisons of retail costs versus Medicare costs to argue their case. For many years, CMS has set reimbursement rates for home medical equipment through a fee schedule. Over the past decade, those reimbursement rates have dropped nearly 50 percent because of cuts mandated by Congress or imposed by CMS. The costs of delivering, setting up, maintaining, and servicing medically required equipment in the home are obviously greater than the cost of merely acquiring the equipment. But Medicare does not recognize the costs of these services. So comparing the cost of the equipment to the larger cost of furnishing the full array of required equipment, supplies, and services is false and misleading. • The bidders are not bound by their bids, which undermines the credibility of the process. • Pricing rules encourage “low-ball bids” that will not allow for a sustainable process or a healthy pool of equipment suppliers. These concerns have been shared with the federal Centers for Medicare and Medicaid Services (CMS), which designed the bidding system. But the agency has dismissed the concerns. MYTH #2: The bidding program will make healthcare more cost-effective. REALITY: The home is already a highly cost-effective setting for post-acute and long-term care. For many years, home medical equipment providers competed in Medicare on the basis of quality and service to facilitate the hospital discharge process and enable patients to receive cost-effective, high-quality care at home. As more people receive quality equipment and services at home, patients and taxpayers will spend less for hospital stays, emergency room visits, and nursing homes. Home medical equipment is an important part of the solution to the nation’s healthcare funding crisis. Home medical equipment represents approximately 1.5 percent of total Medicare spending. So while this bidding program would make even more severe cuts to reimbursement rates for home medical equipment, that will ultimately result in much higher spending in Medicare and Medicaid for hospital and nursing home stays and for physician and emergency treatments. MYTH #3: The bidding program will eliminate fraud. The real solution to keeping criminals out of Medicare is better screening, real-time claims audits, and better enforcement mechanisms for Medicare. Two years ago, the American Association for Homecare proposed to Congress an aggressive, 13-point legislative action plan to combat fraud, and many of those provisions have been included in legislation passed in Congress. Moreover, two important anti-fraud requirements for home medical equipment providers – accreditation and surety bonds – took effect nearly two years ago, in September 2009. MYTH #4: Only the home medical equipment sector opposes the bidding system. REALITY: In addition to the 167 economists and bidding experts who have expressed grave concerns about the bidding program, 30 consumer and patient advocacy organizations have called for a halt to the bidding system. Those groups include the ALS Association, the Brain Injury Association of America, the Christopher and Dana Reeve Foundation, the International Ventilator Users Network, the Muscular Dystrophy Association, National Emphysema and COPD Association, the National Council on Independent Living, the National Spinal Cord Injury Association, and United Spinal Association, among others. These consumer groups support H.R. 1041, a bill in the U.S. House of Representatives that would eliminate the bidding program. The bipartisan bill has 145 cosponsors so far, including roughly equal proportions of Republicans and Democrats. MYTH #5: The bidding system is good for Medicare beneficiaries. • Confusing or incorrect information provided by Medicare. 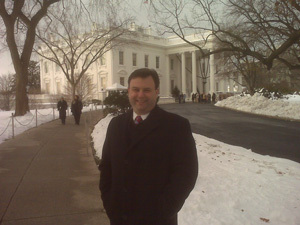 Walt Gorski is the vice president of government affairs at AAHomecare. He joined the team in the Winter of 2006. Walt oversees the government affairs team, coordinating strategies for legislative and regulatory positions, as well as lobbying Congress and the Centers for Medicare and Medicaid Services (CMS) on a vast array of issues impacting the homecare sector. His time spent tackling policy issues has placed him on a first-name basis with Lawrence Wilson, CMS director of chronic care policy group, and numerous high-ranking individuals in federal agencies and on Capitol Hill. Before joining AAHomecare, Walt worked at the American Orthotic & Prosthetic Association (AOPA) for seven years as director of legislative and regulatory affairs, where he worked with current AAHomecare president, Tyler Wilson. Before that, he worked on the staff of the U.S. House of Representatives Ways and Means Subcommittee on Health. Walt is a proud graduate of the University of Richmond. The Budget Control Act of 2011 (BCA) requires the creation of a 12-member, bipartisan joint House-Senate committee to recommend cuts in federal spending, including Medicare. We strongly urge committee members not to include any further cuts to home medical equipment and services (HME) in their recommendations. HME (or durable medical equipment) has been targeted for significant payment reductions to reduce Medicare spending over the past seven years and cannot withstand additional cuts. Reducing HME payments will threaten the ability of the health care sector to save money by allowing patients to stay in their homes rather than in more costly settings like hospitals and nursing homes. During the recent deficit reduction negotiations, conducted by the White House and congressional leaders, cuts to Medicare reimbursement for HME were included in the list of options. The list of cost-cutting targets included reductions to HME payments that totaled $5.4 billion over 10 years by making cuts to Medicaid HME payment rates by basing pay on competitive bidding rates and prepayment review for power wheelchairs. Require prepayment or earlier review for all power wheelchair claims. Allow the Centers for Medicare and Medicaid Services (CMS) to conduct prepayment or earlier review on power wheelchair claims to ensure they meet the existing criteria for coverage and, according to the proposal, reduce improper payments and prevent fraud. Limit federal reimbursement for a state’s aggregate Medicaid spending on certain HME services to what Medicare would have paid in the same state for the same services. Homecare providers make every effort to comply with complicated and subjective Medicare documentation rules and regulations. However, unlike other Medicare providers, HME providers are dependent not only on compliance with detailed policy requirements, but also on the level of detail and accuracy of documentation of medical necessity provided by physicians. The Medicare documentation rules have become so complicated in an effort to stamp out fraud that compliance by legitimate providers has become extraordinarily difficult and are subject to Medicare contractor interpretation. The lack of clarity within the documentation policy is evidenced by Medicare contractors’ varied widespread audit results. Congress should work with the homecare community to formulate recommendations for early review of documentation, and develop clear and concise rules so that physicians, therapists as well as claim reviewers understand what documentation is required for the provision of a power wheelchair. While the HME sector opposes “pre-payment” review for power wheelchairs, AAHomecare has an alternative proposal that moves Medicare away from its current pay-and-chase system to one that provides for real-time documentation analysis. The Administration and congressional budget negotiators considered a proposal that would reduce Medicaid payment rates for competitively bid items to the Medicare rates set by bidding. This proposal has two fundamental flaws. First, it is unclear whether the bidding program is sustainable over the longer term. Independent studies called for by Congress to evaluate the program’s effectiveness have not been completed. Therefore, applying these Medicare payment rates before these studies are complete would be premature and potentially harmful to seniors and persons with disabilities. Also, Medicaid programs are structured very differently from Medicare. Many states discount their payment rates by a certain percentage off the Medicare rate. For example, a state Medicaid program may pay 80 percent of the Medicare payment rate for items and services. In addition, other states waive the 20 percent beneficiary co-payment because Medicaid patients cannot afford co-payments. Still other states combine these two provisions (i.e., the 20 percent reduction off the Medicare payment rate and waive the 20 percent beneficiary copayment amount). Therefore, if this provision were enacted by Congress, many state Medicaid payment rates would be up to 40 percent below the Medicare payment rates established by competitive bidding. Homecare providers will simply not be able to furnish items and services at such payment rates and be unable to accept and treat Medicaid patients if this proposal is adopted. We urge Congress to oppose any further cuts to homecare. A July 2011 report by the U.S. Department of Health and Human Services Office of Inspector General (OIG) about power wheelchair usage in Medicare back in 2007 has resulted in misleading articles published in several media outlets, including USA Today. In other words, in most cases examined in the study, the OIG could not determine whether or not the wheelchairs were medically necessary – in their sample of four-year-old data, which does not reflect current regulations or reimbursement rates. Home medical equipment providers are concerned that neither the media nor government investigators are focusing on the fact that 52 percent of the claims that the OIG reviewed had insufficient information for the investigators to determine whether or not a Medicare patient had a medical need for a power wheelchair. “This is the statistic that puts the real problem in perspective,” said Georgie Blackburn, who is vice president at BLACKBURN’S, a home medical equipment provider in Tarentum, Pa. She added that the 2007 period reviewed by the OIG was just after CMS revised documentation rules, but failed to properly educate physicians and providers on the changes. One of the major problems is that providers have to depend on physicians to supply patient medical information. Blackburn said that CMS has failed to supply physicians with a tool or template to document the patient medical information that is now being required. When the information isn’t available to be reviewed, she said the claim falls into the insufficient information category and the providers are wrongly blamed. The American Association for Homecare represents durable medical equipment providers, manufacturers, and others in the homecare community who serve the medical needs of millions of Americans who require oxygen equipment and therapy, wheelchairs and assistive technologies, medical supplies, inhalation drug therapy, and other medical equipment and services in their homes. Members operate more than 3,000 homecare locations in all 50 states. Visit www.aahomecare.org/athome. 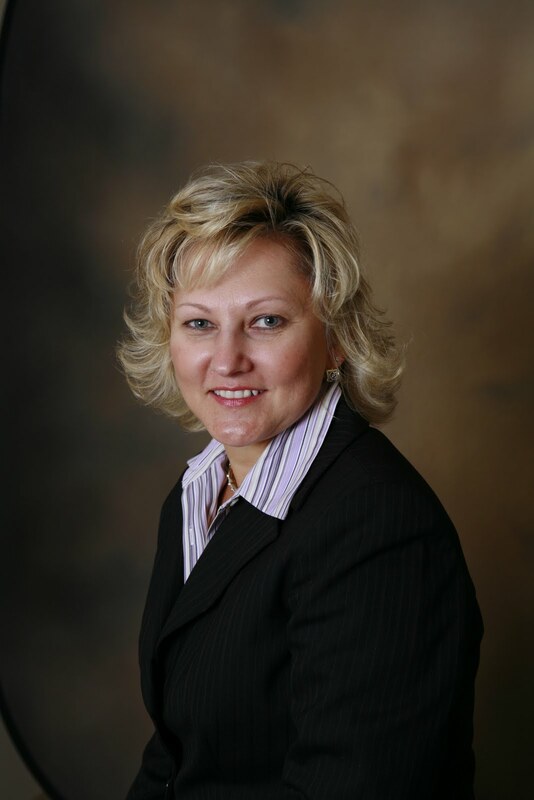 Melva Mazur is the senior director of membership at AAHomecare. She joined the team in the Fall of 1993. As the longest-serving member of the staff, Melva has worked in nearly every department since her first day on the job. Her experience ranges from government relations to education to her current department, membership. Melva is a walking encyclopedia of member information, based on her duty as keeper of the AAHomecare member database. Melva received her bachelor’s degree at Towson University. Before she joined AAHomecare, she worked as a teacher and a baker for several years – and is a certified foodie, through and through. Melva has lived in two foreign countries – Japan and Germany – and visited over 30 others. Melva is the only person in the office who has spent the night in an ice hotel (on purpose) – Hotel de Glace in Quebec. Melva is a longtime collector of Japanese arts and crafts, with items from the Meiji era to the present. AAHomecare’s Medical Supplies Council focuses on HME policy issues that affect audit, payment and coverage issues related to diabetes, wound care and incontinence issues. The Council has worked on the following issues: ostomy claim denials, surgical dressings policy coverage, negative pressure wound therapy (NPWT) accreditation standards and the issue of inadequate documentation from physicians in the diabetes space. Most recently regarding NPWT, AAHomecare and Council members have met with the White House, the Centers for Medicare and Medicaid Services (CMS), the Food and Drug Administration and members of Congress on the need to establish accreditation standards for NPWT and have received unanimous support for this initiative. The Association continues to work closely with other NPWT stakeholders including the Advanced Medical Technology Association and the Alliance for Wound Care Stakeholders. The Association has also worked closely with members of Congress on Congressional sign-on letters to CMS supporting NPWT standards and AAHomecare continues to work closely with those offices. In early August, House and Senate Congressional sign-on letters were sent to CMS Administrator Berwick urging the agency to implement accreditation standards for NPWT providers. In the ostomy space, AAHomecare and council members have been reviewing the ostomy supplies policy regarding concerns about patient claims of denials for ostomy orders. The Association sent a letter at the end of July to all DME MAC medical directors and to medical specialists at CMS calling for a review of the ostomy supplies policy asking for greater flexibility with claims, taking into consideration the medical need of ostomy patients especially when the “usual maximum amount” is insufficient. AAHomecare worked closely with the United Ostomy Associations of America, on this initiative, who endorsed our letter. On the issue of diabetes, the Association is working with Council members to review educational materials for prescribing diabetes supplies and has proposed recommendations to address concerns with physicians’ inadequate documentation. These recommendations will be submitted to all DME MAC medical directors. As far as surgical dressings policy is concerned, council members are collecting data on affected Medicare beneficiaries regarding the types of surgical dressings that are used in order to effect change with the DME MAC medical directors so as to eliminate restrictions on current policy coverage. Managed Care/Insurance Coverage/State Issues: The Medical Supplies Council also monitors Medicare, Medicaid, managed care and other insurance coverage issues and reviews cases where medical supplies and related services and accessories are not appropriately reimbursed. Medical Supplies Council members are actively engaged on state issues and AAHomecare updates council members regularly on state Medicaid reimbursement and state competitive bidding news affecting the medical supplies sector. The Council is chaired by Raymond Kreiger, Vice President, Contracts and Pricing with Byram Healthcare and the Council’s vice chair is Laura McIlvaine, Vice President, Government Affairs, Shield Healthcare. “AAHomecare updates the council on pertinent issues in the medical supplies space. The council reviews a legislative and/or regulatory strategy for moving forward on any given issue from competitive bidding and audit matters to specific reimbursement and coding and coverage issues which is why council membership is a valuable way to address matters that are of concern to council members.” said Kreiger. For more information about the Medical Supplies Council contact Alex Bennewith, alexb@aahomecare.org or (703) 535-1891. 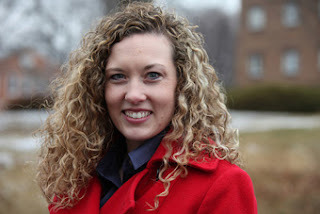 Stacey Harms is the manager of government affairs at AAHomecare. She joined the team in the spring of 2005. 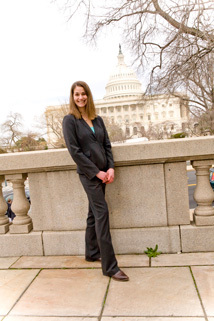 As a member of the government relations team, Stacey attends Capitol Hill visits and lobbies for homecare issues, both regulatory and legislative. She is the resident expert on obscure regulatory policy, poring through several hundred page CMS documents upon their release and drafting detailed position papers on any given cause within the association. Stacey keeps a constant “ear to the ground” in Washington, given her many contacts (many of whom she considers friends) – as evidenced by her Blackberry usage data each month. Stacey received a bachelors and masters degree in journalism in 2004 and 2005, respectively, from Northwestern University's Medill School of Journalism. She has covered a wide-range of issues, including healthcare, politics, bull riding and sports. Stacey is a sharp shooter – she has attended many boot-wearing events where she gets to show off her shotgun skills – rooted in the ten years she lived in Oklahoma. Stacey is a proud member of the Junior League of Washington, an organization of women committed to promoting voluntarism, developing the potential of women, and improving communities through the effective action and leadership of trained volunteers. Stacey once danced on stage with George Clinton at a Parliament Funkadelic concert. Sue Mairena is the chief operating officer (COO) of AAHomecare. She joined the team in the summer of 2003. Sue has more than 25 years of financial and managerial experience in a variety of industries. As COO, Sue manages AAHomecare's day-to-day operations, human resources, accounting, monthly financials and yearly audit, tax return and budget. In addition, each year she evaluates the Association's existing structure, and makes recommendations to the President and Executive Committee. Sue is a certified public accountant (CPA). Up until she joined AAHomecare in 2003, she served as Supervisor of Accounting Outsourcing for Raffa and Associates, P.C., in Washington, D.C. In this role, her clients included The Washington National Cathedral and the American Dental Education Association, both large non-profit organizations in our nation's capitol. Mairena also served as Vice President of Finance and Administration for Bantu, Inc., a Web-based instant communications company in Washington, D.C.
Sue has an affinity for music from the 80’s, with the moves to prove it. Her fond memories include “dancing like crazy to the tunes of” Paula Abdul, Bananarama, Fine Young Cannibals, Gloria Estefan, Kool & The Gang, Michael Jackson, Sheila E and Vanessa. Sue is a certified French fry connoisseur – and touts Dogfish Head Alehouse as having the best! Sue is a decorator at heart – in her next life she will accessorize your home and outfits for every occasion. “Deck the halls with boughs of holly” is taken to a new level at Sue’s house, always a warm and welcoming place. While Congressional support for H.R. 1041 continues to grow, with 143 co-sponsors currently on board, AAHomecare also continues to generate support from patient advocacy, consumer, and healthcare groups across the country, including this recent message from the California Federation for Independent Living Centers. That message, as well as the complete list of groups supporting H.R. 1041 may be useful in your efforts to educate similar groups your area about competitive bidding, and enlist their support for H.R. 1041. Tyler J. Wilson is the president and CEO of AAHomecare. He joined the team in Fall 2006, with his first week on the job taking him to Medtrade. Working with the AAHomecare board of directors (a mix of large and small HME providers and manufacturers), Tyler leads the team in developing and implementing organization strategies on the Hill and at CMS, with the homecare industry’s best interests always the top priority. 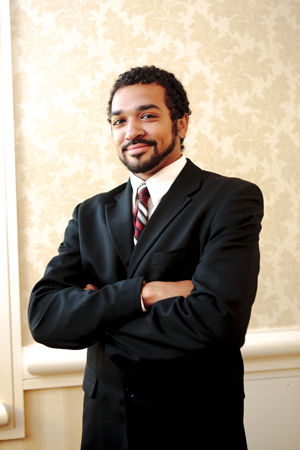 Tyler is an attorney with an undergraduate degree in economics from Georgetown University. He has spent the last decade serving as chief executive of organizations that advocate for better policies under Medicare Part B. Among other positions in Washington DC, Wilson served as an attorney for legislative and regulatory affairs at the U.S. Chamber of Commerce. Tyler can reference show tunes from as early as the 1940s with Cole Porter and, more recently, Stephen Sondheim being two of his favorites. He’s a great teammate in trivia games. Among the AAHomecare staff, only Tyler will eat anchovies. Tyler collects presidential campaign memorabilia, with his earliest items being from the election of 1896. The Inspector General’s Office (OIG) of the U.S. Department of Health and Human Services issued a report last week concluding that 61 percent of power wheelchairs provided to Medicare beneficiaries in the first half of 2007 “were medically unnecessary or had claims that lacked sufficient documentation to determine medical necessity.” But their report clearly indicated that medical necessity was actually only questioned on nine percent of the claims. The OIG report reaffirmed that the major problem is not mobility equipment going to Medicare beneficiaries who don’t need it, but the government’s failure to establish a process that fairly and adequately documents a Medicare beneficiary’s medical necessity for a power wheelchair. In fact, the vast majority of claims cited in the OIG report were flagged as improper because information was missing in the medical records of the patients that received power wheelchairs. The fact that the OIG concluded that information was missing in 52 percent of the claims underscores that the government needs to fix the documentation process for determining the medical necessity for power wheelchairs. Despite the repeated pleadings of stakeholders — providers, physicians, clinicians, Medicare beneficiaries, consumer advocates and others — the Centers for Medicare and Medicaid Services (CMS) continues to utilize a flawed system that leaves physicians, providers and Medicare beneficiaries confused about what documentation is needed to satisfy their requirements. Moreover, the flawed documentation system has become the basis for OIG reports and audits that unfairly create the perception that home medical equipment providers acted improperly and Medicare patients have received equipment that they don’t need. It’s unfortunate that these misconceptions are damaging the image of the Medicare program, providers and beneficiaries at a time when Congress is searching for ways to cut spending to address the nation’s escalating budget deficit. Read AAHomecare's full Mobility Matters article. A study released yesterday by the Office of Inspector General (OIG) at the Department of Health and Human Services illustrates the pressing need for the Centers for Medicare and Medicaid Services (CMS) to give physicians concrete direction to meet policy and compliance mandates. The report found that more than half of Medicare power wheelchair claims submitted in the first half of 2007 did not meet medical necessity requirements. However, the vast majority of audited claims that were considered improper were the result of a lack of full documentation by the prescribing physician in the patient’s medical record. The report validates what the American Association for Homecare (AAHomecare) has been advocating for years: lawmakers need to hold CMS accountable to establish clear and objective guidance to the physician community in the power mobility benefit. It is also worth noting that the study takes a snapshot picture in time when confusion about what was required of suppliers and physicians was at its peak. The OIG study looked at power wheelchair claims immediately after CMS had completely overhauled the power mobility benefit in late 2006 (including coverage criteria and coding) and then immediately began issuing clarifications and bulletins, which led to a high level of confusion in the power wheelchair provider community. As a result, auditing of these claims was very subjective, leading to misleading conclusions. Moreover, the OIG report in no way implies that power wheelchair providers are participating in any form of unscrupulous or fraudulent behavior. Since the OIG study was undertaken, power wheelchair providers must be accredited and comply with much more stringent quality and operational standards.